With food costs on the rise, people are turning to their own yards for affordable and delicious produce. 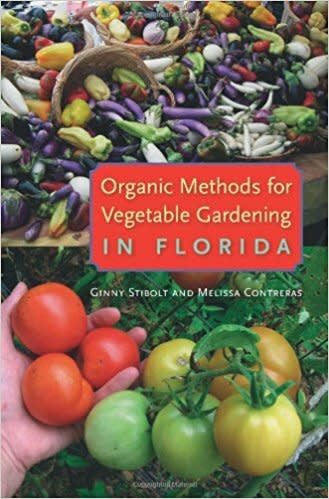 In Organic Methods for Vegetable Gardening in Florida, expert botanists Ginny Stibolt and Master Gardener Melissa Contreras provide simple and accessible advice for successful, pesticide-free vegetable gardening in Florida, where soil types vary and mild winters do not clear our all pests. They offer suggestions for opportunities beyond the home garden, advice on what to do with overabundant harvests and tips for developing a community garden. They also address pest management, appropriate bed types, irrigation, seed saving, proper harvesting, and food safety.